Following the 2016 publication of the 4th Eurock book The Music of Gilbert Artman & Urban Sax work began on the next project a Eurock historical documentary film. With the cooperation of several artists musically it will cover the wide diversity of countries, music and history that Eurock has written about and promoted over the past 45+ years. To facilitate this project there will be a social media fund raising effort undertaken in the near future. In addition contacts in the film industry will be approached. The first step has now been taken in this process with the production of a 4-minute audio/visual excursion into "Archie's World" of Eurock created by German filmmaker, Roman Beilharz who did a masterful job IMO. You can watch it at the link below. It took a year after my trip to Europe took me to France but the fourth Eurock book is now available. It details what I experienced on my trip. Unlike the previous books this one focuses primarily on a more specific topic. "The Music of Gilbert Artman & Urban Sax" documents the creative journey and music of one of our generation’s greatest artists and musical innovators Gilbert Artman. The book is not intended to be an academic history, but instead more like a listener's guide exploring his diversity of artistic ideas and concepts as well as chronicling the excellence of his work through its various musical incarnations. 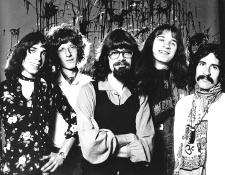 Known for having founded the first California radio program dedicated to European rock, Eurock, in 1971, then a magazine of the same name (Eurock Magazine, from 1973 to 1993) followed by a label and distribution company of the same name (Eurock Distribution). Archie Patterson has just published, under the aegis of Eurock, a volume entitled The Music of Gilbert Artman & Urban Sax. It was conceived from numerous articles, interviews (including the one published in the last issue of TRAVERSES) and chronicles published over four decades translated into English to make them available to an international audience. Rare photographs, pictorial works and scores of URBAN SAX illustrate this copious volume, which also contains various writings devoted to other French creative artists (including an interview with Emmanuelle Parrenin, among others), taking the form of 'A diary of Archie Patterson's musical discoveries about rock' (in the VERY broad sense) of Europe. 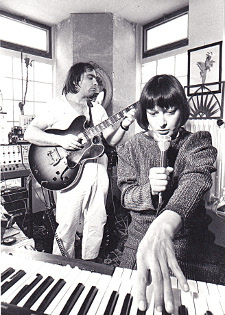 This volume of Eurock takes the form of a listener's guide for all who are curious about what the French experimental scene has spawned in terms of audacious and legendary musical adventures. Two versions of the book are available, one in black & white, the other with color illustrations. 45 years ago, a young deejay named Archie Patterson who launched a radio show in 1971 on KFIG FM in Fresno, California. 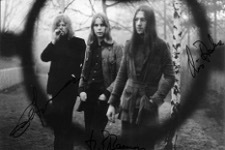 Dubbed Eurock, the weekly program was devoted to psychedelic music coming out of Europe - Klaus Schulze, Amon Düül II, Can, Tangerine Dream, Faust, Guru Guru, and more - spun by an enthusiastic Patterson, who heard in the music a cosmic resonance. At the present moment, it’s hard to believe we’ll ever be at a time again in history where we could let a culture simmer at a reasonable pace. Why let the description of a band steer you into purchasing their actual album when you can just download and dismiss it in the time it takes to warm up your lunch? Why bother to sift through dusty record bins, dig through basements full of tattered music ephemera or speak with dodgy used record store clerks in an attempt to connect the dots organically when you can convince yourself you learned the entire history of some obscure regional sect of music within a single laptop sitting? When Archie Patterson founded his fanzine Eurock in central California in 1973, such conveniences did not exist. 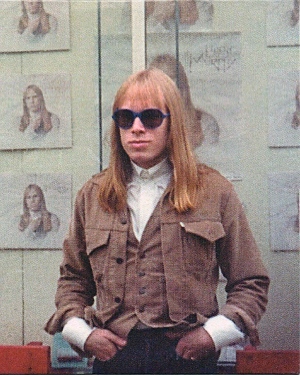 By combing the back pages of overseas rock mags for microscopic adverts of mail-order fix, Patterson pieced together something of his own musical universe while penning mouthwatering reviews of progressive rock records scarcely seen in the US at the time by bands such as Germany’s Embryo, France’s Heldon, Japan’s Far East Family Band and Finland’s Wigwam. Over time, in a pre-punk underground, a small cult came to form around the 'zine: both by the weirdo’s already hip to these outlandish sounds and the ones whose horizons were being broadened with every crudely mimeographed issue. 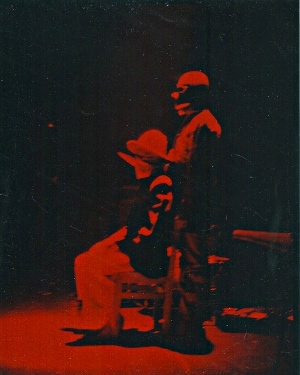 In his third self-published book of archive material, Patterson and a group of past contributors to Eurock – as well as musicians the magazine covered during its existence deliberate on whether the fervor and sense of discovery of these past days have been altogether lost in our constantly, collectively downloading consciousness. In a chapter entitled Music, Culture & Context, he recalls the days where information about obscure albums by everyone from France’s Magma to California’s Chrome travelled down almost telepathic roads. Word was passed along via a sort of underground wavelength that existed as a fragment of people’s imaginations, he states. He also reckons it was in the in-between time of typing up the fanzines, the correspondence going back and forth via the mail system and the records squeaking back and forth between continents at their own pace where the magic came in. In the elation, anticipation – and sometimes frustration - of waiting for these albums to come from the other side of the world, a mystique was created. I turn 69 on Sunday, so a few years back started facing up to the fact that I no longer I hope I die before I get old. I am now old and don't have another 25+ years, so now when I go, I hope I die quick. I have a ton of papers downstairs in multi-metal cabinets + lots of CDs, some cool LPs (most sold some time ago)lots of posters, letters, art, photos, etc in the Eurock Archives. 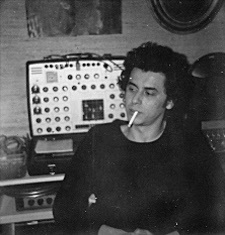 In 2013, a German guy - Alexander Simmeth - came to the USA to pick my brains like everyone else does about a book on Krautrock he was doing to get a degree in Krautrock (I said really?) He took some photos, copies of Eurock magazine, etc. It was a nice time, so I ask him where he was going next? He said the RnR HoF and I said, Really they don't won't have a clue about Krautrock .Anyway, have a good time in the USA and send me a copy of the book when it comes out. 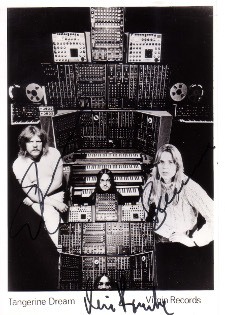 So 6 months later, I got a letter from Jennie Thomas the head archivist of the RnR HoF asking if I'd like to donate my Archives to their Museum as they were interested in Krautrock & Eurock. She said Alexander had showed them some of my stuff. I thought about it and decided WTF this isn't a joke. So after I die it might be kinda cool that Eurock will live on in the RnR Museum Archives. That still now seems to me kind of like a joke, but nowadays I have to laugh a lot to stay sane, so I sent off to them boxes of my magazine, Eurock catalogs, books, etc. and more stuff will follow. You won't believe it, but now all of the things you sent them are being handled with surgical gloves and kept in nice envelopes. You can make an appointment to see them and they will get retrieve them from the Archives and you can look at them. The HoF Festivities & most Superstars (x-cept Iggy) don't mean a lot to me, but Eurock is there. I keep pestering Bryan Chandler who lives near CleveO to call and see if he could arrange to see the stuff and go there... He's too busy, so little chance of that. I may go back there myself and see if this is all true.... Meanwhile, I know they are collecting all kinds of other rock memorabilia and I keep sending them my stuff and getting Acknowledgments of my Donation documents, so that's kinda cool right? I am doing a brand new radio program every week, streaming every Friday Evening & Sunday Morning. It transcends musical boundaries & styles covering the full spectrum of recorded sound over the past 60+ years. I play music that is Eclectic, Adventurous & Creative keeping alive the spirit of Original FM radio back in its early days. Tune In at the follow times: Friday Night @ 7PM (Pacific Time), 10PM (Eastern Time). Listen via 24-hour HiLo Radio http://hiloradio.com/Eurock/ If you miss Friday's program it's Rebroadcast Sunday @ 11AM (Pacific Time) & 2PM (Eastern Time). Recently Eurock began collaborating with two people involved with music in Germany doing very innovative work. Both are involved in academic studies at the prestigious University of Kassel in Germany, as well as involved in various aspects of music prodcution as well. 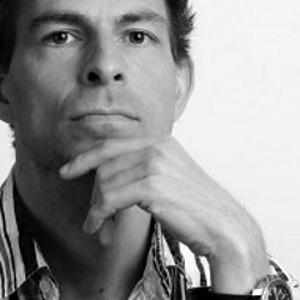 Roman Beilharz is a Lecturer at the Institute of Music at the University of Kassel, the owner of the UVASONAR Media Pool, a musician, composer, engineer, educator, writer and filmmaker. Roman’s company provides multi-media support for new artistic talent to be recognized in their various fields today. 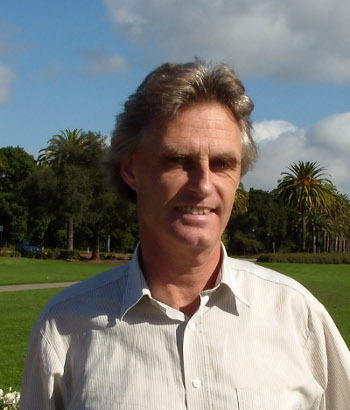 Ulrich Kutschera is a Professor of Biology at the University of Kassel in Germany there, as well as a visiting Scientist at Stanford, California. He is also a musician, his most recent album San Francisco Bay, is highly popular in Yoga Studios in the Palo Alto-area. 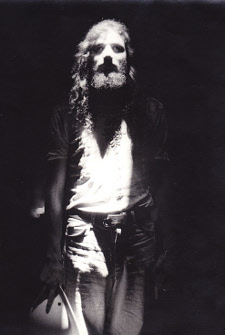 Kutschera’s excellent 1983 album, First Incarnation, is soon to be released in a revised, re-mastered extended, version. 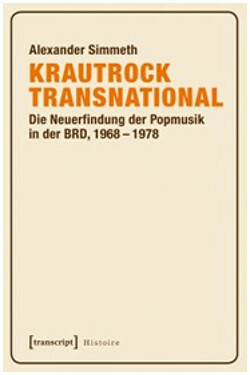 Alexander Simmeth is the Author of this encyclopedic work exploring all aspects of the genre of music originally called "Krautrock " by the UK Pop Music press. While a student at University in Germany he paid me a visit doing research for his book. After his visit he went to the Rock & Roll Hall of Fame to visit their Archives. While he was there he talked to them about his book and my work doing Eurock for many years. As a result of that visit they asked me to donate my Eurock publications to their Museum Archives. In his book there is a passage in reference to Eurock. The book is written in German, so that passage about Eurock was kindly translated so you can read it below. 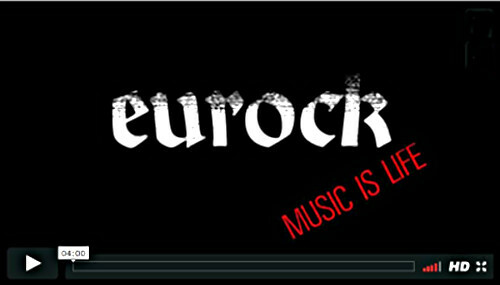 "Eurock began in March 1973, the fanzine Eurock was published, initiated by Radio-DJ and LP-importer Archie Patterson. The first issues were published, assembled by hand and distributed in small numbers. In the following years, Eurock magazine grew enormously and was read primarily by importers, music journalists and musicians alike. 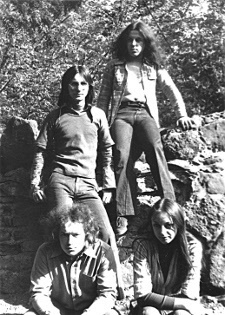 Until the end of 1975, Eurock exclusively focused on Krautrock. 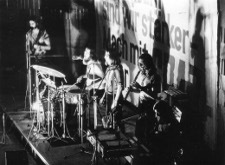 In addition to reviews of LP’s and discographies, numerous reports and interviews were published, wherein the history of German music and background information of the pertinent Krautrock groups were described. 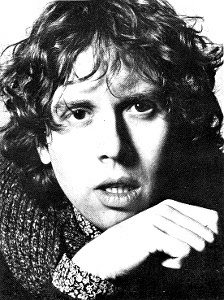 Between 1971 and 1974, Patterson contributed significantly, as a Radio-DJ in central California, to the promotion of progressive German pop music. 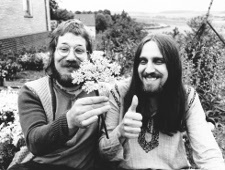 Incidentally, Patterson’s interest in Krautrock was sparked by reading the British Music Weeklies, which he received as a teenager from his grandfather. 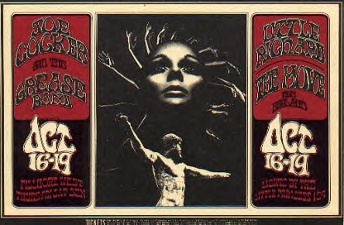 Along with print-media, Radio shows were a key factor in the promotion of pop music during the 1970s in the USA - not TV. The Radio-system was commercialized, by the way, not organized as in Europe. State-sponsored institutions like in Germany and Great Britain were not established. 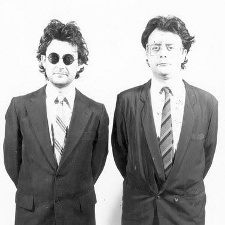 … The promotion of German progressive music in the US was facilitated via different music personages, such as Archie Patterson importer, Radio-DJ and producer of a Fanzine, Ira Blacker a manager in the music industry, or the British music manager Richard Branson, who initiated Virgin Records that was interested in experimental music." In the beginning 1971-1973, the music Eurock played on the radio and chronicled as a fanzine was in its embryonic phase. My mission was a journey of discovery and exploration, the goal was to turn people on to the amazing music I uncovered. In addition to offer insight into the people and the evolution of their creativity as well as effect it had on those who listened and the culture as a whole. Today with Eurock I reflect back a lot, write, and share personal stories about what happened along the way. One of the more interesting stories involves Kraftwerk. They had financed their very first USA tour themselves partially by selling the rights for their first three albums and Autobahn to Phonogram for the ridiculous amount of $2,000. In 1975, they were playing Live at the small Keystone Club in Berkeley, so I drove up and stayed with a friend to see them. The place was half-empty and we had our choice of seats so we sat mid-center. I placed my small portable Panasonic cassette player on the table, plugged in a small Mic and preceded to record 2 Ampex C-60 tapes of music. Some years later, another friend who had access to state of art audio equipment in a studio digitized the music for me and dubbed each of us DBL CD copies. A bit later, I had the original photos scanned to make covers. For its time the sound is excellent. 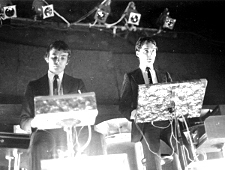 The Kraftwerk Live @ the Keystone Club Berkeley taping done on 5/11/75 may have planted the seed for me and those original 2-tapes could be the rarest cassettes in the world perhaps? I guess I could say that’s when and where my adventures in the creation of cassette culture began. My entry point into the music business was Intergalactic Trading Company in Portland, OR. ITC was as an adjunct to the record store Music Millennium. At the outset the focus was on UK imports via Caroline Records UK and sporadic importing of German rock via Juliana Hopp GMBH out of Germany. 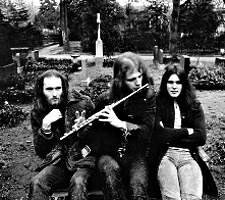 They had heard about Eurock and in September 1976 owner Don MacLeod hired me to run their mail-order and we soon began importing music from everywhere else. Due to my Eurock contacts over the span of the next aprox. 3/4 years the floodgates were opened to France, Sweden, Finland, Italy, Spain, Japan, Australia, etc. We did limited local wholesale and a couple stores in the Northwest, but unlike Jem it was only me and one other person doing everything. Interestingly the bonanza sell-off you mentioned may partly be related to Eurock as I knew one of the head import buyers at Jem East at the time, Phillip Page, who subscribed to the magazine. When I did the Kosmische Musik Issue #3 in early 1975 he contacted me about the Comic Couriers & OHR records, labels which had been the focus of that issue. 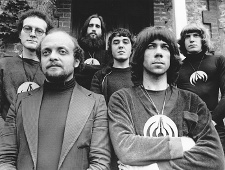 The first two issues had featured Krautrock extensively. Those led to Jem importing some of those titles as well as opened the door to many other German labels to some extent. They even reprinted the full-page promotional layout from Eurock Issue #3 and used it as part of their promotion for those albums and a tie in to the other German music titles they began to license and offer. 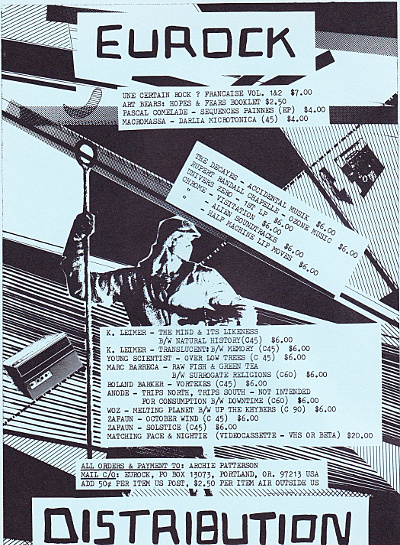 The first Distribution advert in Eurock Magazine was included in Issue #13 at the beginning of 1979. What had happened at ITC was Music Millennium began doing parallel importing, which later became the big thing in the music import music business that led to a more adventurous period in music importation & Jem's ultimate failure. In ITC's case they began bringing in import pressings from Japan of The Eagles, Steely Dan, etc. due to their superior pressings. As a result, my budget became limited for importing and selling fewer odd experimental music titles from Europe. The result was I began offering my own parallel small selection of things offered via Eurock Distribution. That early Eurock Distribution direct sale adverts featured books from France, US LPs by Chrome, The Decayes and 1st Univers Zero album + EP's by Pascal Comelade and Spain's Macromassa In addition the first original Palace of Lights cassettes as well as initial cassette release by other US artists like Steve Roach, Don Slepian, Galen Herod, Anode, Don Slepian, Ken Moore, Zazen Zafaun and WOZ cassette plus a VHS tape called Matching Face & Nightie by a local Portland filmmaker friend who was promoting the Residents. From the outset ED was multi-format, eclectic and unique. Recently the great Vinyl on Demand German reissue label released a fantastic triple box set titled American Cassette Culture documenting the US artists Eurock promoted in the early cassette culture scene. Due to this ITC financial situation and budget constraints I continued doing the multi-layered approach until one day I got a phone call from LA in late 1979 from people who were starting a new import music company named Greenworld. I flew down there and part of their business plan was to have a direct retail arm of the company. They wanted me to come down and set it up. That was called Paradox Music Mailorder. Ironically, once again there was a rapid expansion of parallel importation of mainstream music from Japan. My work began to be affected due to the same dynamic of cash flow imbalance, it was deja vu for me. 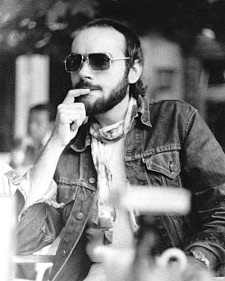 In 1981, I quit working for anyone else and began doing Eurock Distribution full time while living in LA. Its main focus was the exploding cassette music scene as well as well as the various many other releases on cassette, fanzines, Indie LPs, EPs, etc. A bit earlier in late 1979, early 1980, I began my own Eurock cassette label. 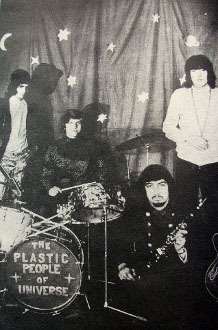 The first release was a tape smuggled out of Czechoslovakia via Canada recorded by the illegal band Plastic People of the Universe whose leader was then in jail. It was called the Hundred Points. That was the first release on the label released which was followed by a series of original recordings by various other international artists from France, USA, etc. In 1984, I moved from LA back up to Portland, OR and Eurock expanded organically into many different areas. One involved cassettes. I lectured for classes, grades 7-12, for 5-years, in a Portland K-12 Public School. I offered a Listeners Guide to Experimental Music. I recorded special mix cassettes each week to use as musical background accompanying stories about my experiences in music overall. I ended up ultimately releasing them as a cassette series of taped music and lectures chronicling my personal adventures in the 1960's along with the creation Eurock. At this point a few other small import specialists like Aeon began to spring up that may have been influenced by those two companies. That connection also perhaps goes back to the Mnemonists, an art/ music group out of Colorado. During that time I was in touch with Bill Sharp and Torger Houghen helping promote and market their work and first releases. I think they had a cassette only release as well as an LP titled The Mnemonist Orchestra (later shortened). 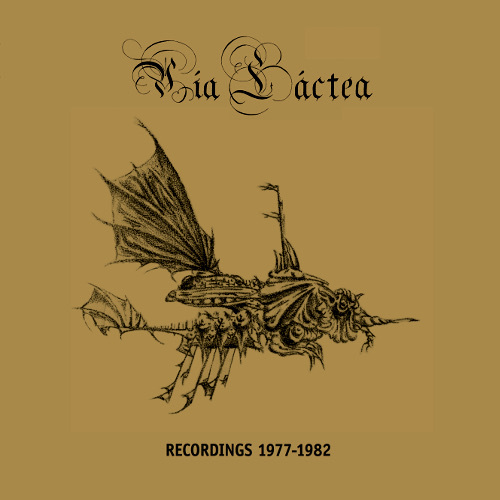 Ultimately they changed their name to Biota, if memory severs me right. 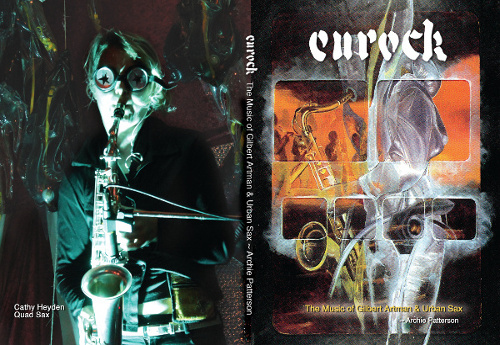 I used a lot of the Mnemonist art as illustration and covers for Eurock Magazine. I just used a small impressionist piece for illustration in the new Eurock book, The Music of Gilbert Artman & Urban Sax. While running ED I always dealt directly with artists directly as well as small Indie labels. I never did wholesale of the cassettes as the retail price/ cost were so low, or very high in the case of very special packaging. More importantly, cassettes at first were mostly all done in VERY LTD Editions. I'm sure it's hard to imagine a time now when everything wasn't ever present and mass marketed, available free as a download, or sold at ridiculously high prices. It's impossible in this day and age to do artistically what labels like DDAA, Bain Total, Ptose Productions (France), TRAX, ADN, MB (Italy), Marquee Moon, Vanity Records, YLEM, LLE (Japan), Mirage, YHR (UK), Via Lactea, Oxomaxoma, Voldarepet (Mexico) and Agjtasjon (Norway) did musically or conceptually. 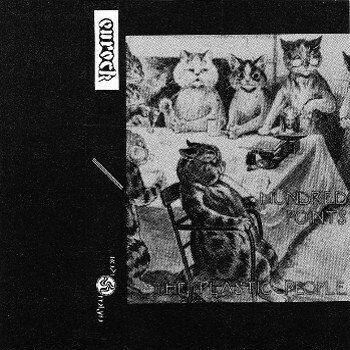 DIY was completely unique and unprecedented back then, produced as LTD ED cassette releases. 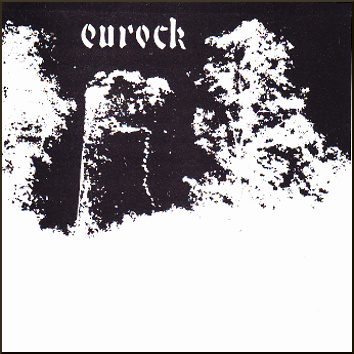 Eurock certainly was one of the very few, if not only seller of most these labels outside of direct personal sales by artists and small labels in their own areas. Two examples of this single minded creative ethos and process stand out in my mind. DD Records in Japan was perhaps the most incredible label of all. T. Kamada was the guy who did the label at the time. He was a Med School student (later becoming a genetic research genius). He released some 220+ tapes and would send me a sample copy of each tape, then duplicate copies for me in the amount I ordered. Each DDR tape came with a 5" x 7" Xerox libretto. I sold them for $6.00 as my cost was very low and he paid the postage... The diversity of musical style and passion embodied in DDR releases musically was astounding. 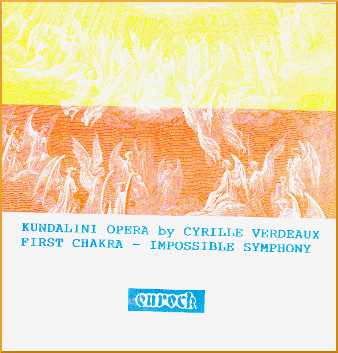 As for the Eurock label itself, aside from the extraordinary circumstances of the PPU debut release, the 6-cassette set by Cyrille Verdeaux (of Clearlight fame) Kundalini Opera production process is a paradigm example of the Indie process in action. Those were the days of wine and roses for musicians and also in terms of being a wildly adventurous entrepreneur. One of the great things about DIY cassettes was that it liberated artist's creativity from the shackles of professional distribution companies and minimum order restrictions. They could be experimental, imaginative using simple equipment and tape recorders within the confines of their bedrooms or garages and sometimes the results were truly amazing. 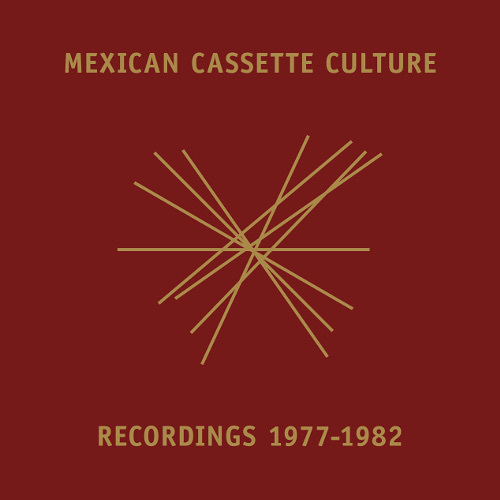 The new Vinyl on Demand Mexican Cassette Culture box set offers a flashback to what was perhaps the greatest musical era and some of the most original music produced in the late 1970’s to mid 1980’s. 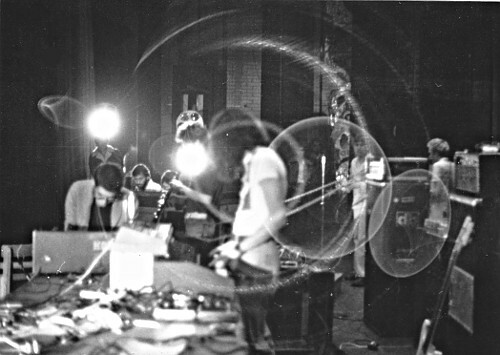 The musical door was opened to an incredible new chapter for many people in the music-scene; the discovery of an outstanding and amazing Experimental Music from Mexico in 1979 by Archie Patterson of Eurock. 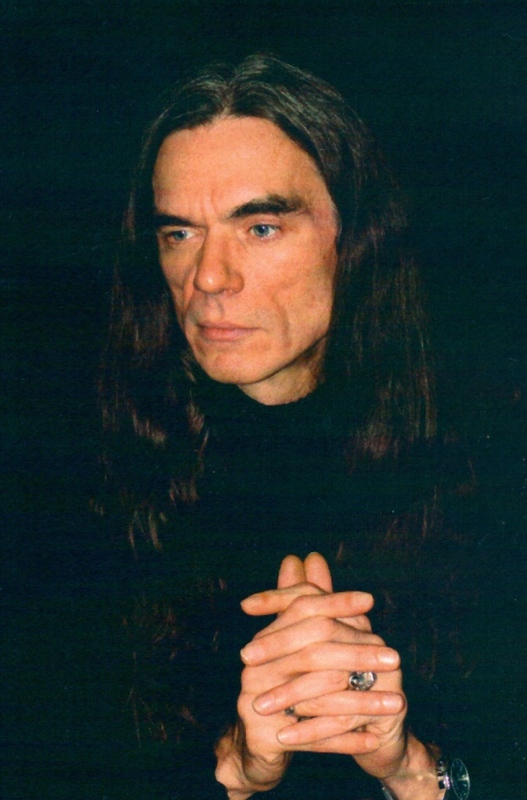 In 1979, Archie started to distribute experimental music primarily released on cassettes, which he had also covered and written about in his magazine Eurock established in 1973. At that time, visitors from south of the border came to LA bringing Archie music cassettes and LPs, shortly after coming to buy music and take it back to their record stores in Mexico City. A musical link was created that still exists today. Listeners of Experimental & Electronic Music incl. VOD itself would probably never have heard about such true hidden treasures released on this Box without Eurock and its protagonistic networking, distribution and promotion back then. This Box covers many of those experimental artists from Mexico such as Aristeo, Via Lactea & Carlos Alvarado, Hilozoizmo, Decibel, Oxomaxoma with Arturo Romo & Jose Alvarez & Miguel A. Ruiz and Voldarepet with Arturo Meza, Juan Wolfang Cruz and Marco A. Godinez. Today there still is nothing that sounds like what you'll hear when listening to the sounds on these long lost cassette artifacts. In fact, the music never sounded better after to the excellent sonic restoration done by Jos Smolders of Earlabs. My trip to France was more than I could have ever imagined. 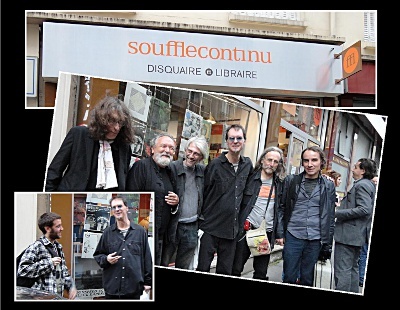 The book events at Souffle Continu Records and Les Frigos were a great experience in sharing Eurock’s history and my personal stories with both music lovers and some of the best French experimental musicians over the past 20-30 years. Theo and Bernard at Souffle were fantastic hosts. There I also met Alain Lebon (of the great Soleil Zeuhl label) and Marc Rozenberg of Eskaton (who are releasing a new album soon). After that I had dinner at the house of my long time friend/ musician Luc Marianni along with Jacques Jeangerard (his latest collaborator) on the fantastic album Numeralogique (Between Light & Sound Waves/ 2), plus Andre Viaud (guitarist of Pataphonie). It was great to sit around the table and have a conversation about music (and other things happening in the world today). Luc's wife Marie, a teacher of English, was translating for hours late into the evening. The next day was The Les Frigos event which took place in the Urban Sax studio space, which was otherworldly. Attending were a host of French musicians, labels, music fans and people from afar coming to listen, meet and talk. Quad Sax played an amazing, surreal music set, Benoit Garel screened his documentary film Reims 1974…. and my wonderful new friend Marie Marianni helped as translator, helping me to share my Eurock stories with everyone who attended. I also did a fascinating interview with Gilbert Artman. Benoit filmed everything professionally, including both the Souffle Continue and Les Frigos events. Following that I visited Yochk’o Seffer again, after our meeting our at Giorgio Gomelsky's ZU Manifestival (1978) in NYC. Seeing his homemade instruments, hearing a preview of his soon to be released newly recorded album, sharing a great Moroccan dinner and filming a multilingual interview aided by Jean-Jacques Leca translation. It was a fantastic evening. I was fortunate as well to meet up with and film an interview with Ilitch (aka, Thierry Muller) who was one of the original Eurock cassette label artists in 1980. We talked about music extensively and did a short interview where we talked about his musical history and how the music scene has changed today. Following Paris, my oldest friends in France Robert & Anny Frances who exported to me the first French album in 1976 for US distribution (and today run the major French concert promotion company FM Productions) were fantastic hosts in the South of France. Anny was a tour guide/ translator extraordinaire and Robert acted as my agent at the 2015 Perpignan Book & Disque Fair. There, he introduced me to the town mayor, as well as arranged interviews for me in the local newspaper and to film an interview with one of my favorite original French artists Pascal Comelade. After that, it was off to Barcelona where I had dinner with Victor Nubla (of Macromassa) and Eli Gras (of the La Olla Express label). I also visited the amazing Wah Wah Records where mainman Jordi Segura and I discussed music and future collaborations. My biggest, most wonderful surprise was meeting Emmanuelle Parrenin. After a brief encounter in Paris by happenstance at the Eurock Souffle Continu event, she came by happenstance to Barcelona at the same time I did to rehearse with Pierre Bastien who she now performs with live. We shared a great dinner, filmed a short interview and she agreed as well to do a written interview after I returned to the USA. 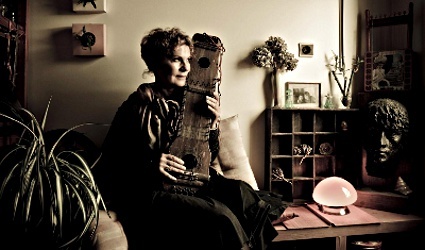 In the late 1970’s she disappeared from the French scene for over 20 years after recording the adventurous classic French folk album Maison Rose. Here, I have the great pleasure of presenting that written interview to you. 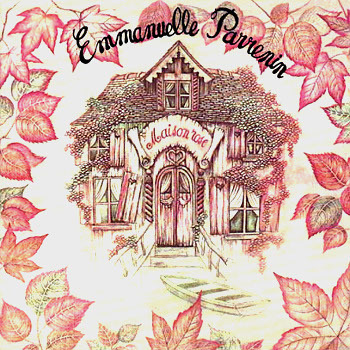 Emmanuelle herself, her music and her story are an example of the power music has to convey magic as well as withstand the test of time and create a deep emotional connection, which has the ability to heal both the body and soul. In the future, the French trip will be documented in a Eurock film and a New Eurock book will be published devoted to Urban Sax. Details will be forthcoming as the projects unfold. Stay tuned to this website as well as my personal Facebook page for more information. On my recent trip to France promoting the new Eurock book and meeting many of my long time French friends I've been in contact with for decades, one of the most amazing moments of happenstance in my life occurred – I met Emmanuelle Parrenin in Paris. Her Maison Rose was one of my favorite albums from the French music scene during the 1970's, but I'd not heard anything about here since that time and often wondered what had happened. Later due to another quirk of fate at the end of the trip, we were again able to meet up again in Barcelona and film a short interview. Once I was back in the USA, I sent her some more extensive questions. I think you will find her story is not only a magical story about her personally and music, but also a true-life example of how music has power that can transform and enlighten peoples lives and heal you. I could say I was born into music. I listened to a lot of music at home- my father was a musician- and the first artist I listened to was Bella Bartok. My preschool teacher asked us hey kids, what is your favorite song or artist? and was a bit surprised when I said Bella Bartok! I used to reproduce what I had heard from my father's rehearsals - Quatour by Debussy or Ravel- with two fingers on the piano. The first records I bought were What I Say by Ray Charles and Porgy and Bess by Miles Davis. In addition, at 14 years old I had chance to follow the Yardbirds on tour. 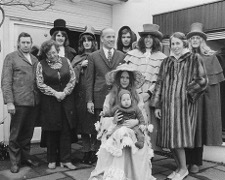 I was an exchange student in London and the daughter of my hosting family was Keith Relf's girlfriend. Eric Clapton chatted me up, but I was still wearing bobby socks and I was far from all that. Why did you decide to make a career in music? I never thought I would make a career in music. When I was a kid, I was singing all the time and was teaching songs to everyone. My learning was instinctive and secret. As a teenager, I had learnt guitar and I often went to American Church & Center where they sometimes held Hootenannies. That's where I saw a hurdy-gurdy and other traditional instruments for the first time. They me hypnotized right away and I felt like an unfolding mystery was beginning. You made a few collaboration albums in the beginning, was there one of those albums you feel was your most interesting early work? I often went to another place, I can't remember the name, at Saint Germain des Prés, where some folk musicians used to play. That's where I met Philippe Fromont who was playing violin and Gabriel Yacoub (founder of Malicorne), Youra Marcus who was playing banjo, and Bill Deraime, among many others. 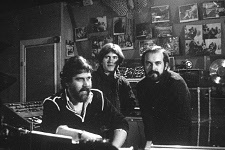 I started to work with Philippe Fromont on an album which became Chateau dans les Nuages, along with Claude Lefebvre who was playing acoustic bass and guitar. It's interesting to remember, and was interesting to live, because I think it is my first non-traditional work. We were getting out of traditional music to create our own universe. What was the inspiration for your fascinating solo album Maison Rose? I started to work on Maison Rose when I was in Burgundy with a dear friend, Christian Leroi-Gourhan, who was ill. 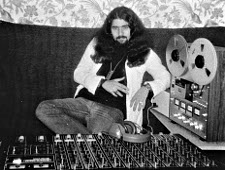 I started to compose on his 2-track Revox, playing the music that I was hearing deep inside me. I was playing dulcimer all day long, we were living in a small house, with my little kid, and I think, more than a person or an event, it was this entire atmosphere, which inspired me in the making of this album. How/ Where did you record that album? I met Bruno Menny, who was a sound engineer, at Acousti Studio. My music inspired him and we decided to work together. We went to settle in the countryside, in Normandy, at Studio Frémontel. He was working there, recording artists came there to record from all over the world. When there were no other recording sessions, we both used this place to begin our musical adventure and that's when Maison Rose was born. I believe after that you also got involved with contemporary dance how did that come about? After the release of Maison Rose Carolyn Carlson's dancers contacted me and asked me to make music for their ballets. This was sort of an act serendipity because when I was a kid, I passed a dancing contest and was chosen by Serge Lifar to enter the Paris Opera and become a ballet student, but my mother didn't allow me to. So when this company, years after, contacted me to make the music, I said OK, but also asked to dance with them in the ballet. I started to practice my dancing 12 hours a day, and played live and recorded a sound track. I loved these years of dancing, when dance and music was my life and I had the chance to work with people who felt the same way. Then there was a long silence from you musically, what happened? Silence yes, total silence! I had lost my hearing as a consequence of an assault. I went to the Alps and lived in a little chalet to cure myself, by myself, with only my voice and my instruments. Doctors said I would never recover, but I never believed that was true. I played my music and sung along with it all day for a very long time. Slowly I could feel the music enter my body, then after some time my hearing did come back to me. So I left my chalet and I found a little house along le Lac du Bourget where I settled. It was weird, but this old-fashioned house was exactly the same as the one drawn in Maison Rose cover. Then I worked for 10-years in hospitals, mainly with kids, using the music that had cured me, to help them. I created a solo show for kids, called Belle et Lurette, which I played in many places and settings, in casinos and schoolyards. 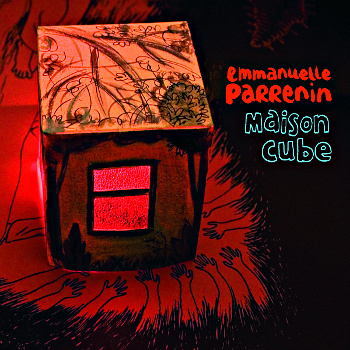 In 2011, you recorded a new album Maison Cube, how did you come up with that title? The Internet did a brilliant job while I was in the mountains. 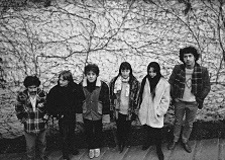 And, while for me Maison Rose was part of the past, it was listened to by young Parisian musicians, including Francisco Lopez (Flop) the co-founder of the label Les Disques Bien. He heard this album at a dinner at Vincent Segal's place and asked him if I was still active. Vincent knew my son Matthieu, who is playing blues music as Mr. Bo Weavil. I was feeling like making an album, I had some music, but didn't feel like writing lyrics so I looked for a lyricist. I was invited by Flop to a concert, and that's how the story began. After 5 days of working, we went to a house in forest de Fontainebleau, who was an architectural place from the 1960's. Every room of this house was a cube dropped off in place by a crane. This house had been vandalized and I, along with some other friends had formed a chain to make it live again. How was the music on that album different from Maison Rose? Thirty-four years had gone by, and I was not the same person. I really felt like building something new, I like progressing like I am walking on a high wire and I had met this young musical troop, Vincent Mougel (aka, KidsareDead), Etienne Jaumet (Zombie Zombie). 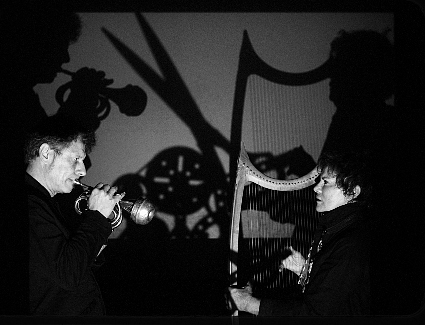 They gave me new inspiration, I played live with Etienne at his concerts (he plays analog synths), I was playing hurdy-gurdy and that sounded like drone music. With Vincent and drummer Cristian Sotomayor, the sound was more like rock music. In addition, at that time I was also playing pure acoustic concerts. I guess all those tone colors and influences can be felt in the music of Maison Cube. 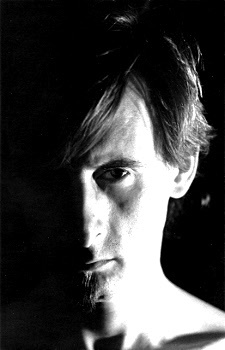 Since that album, you collaborated live with another French experimental musician Pierre Bastien, have you played on any of his albums? 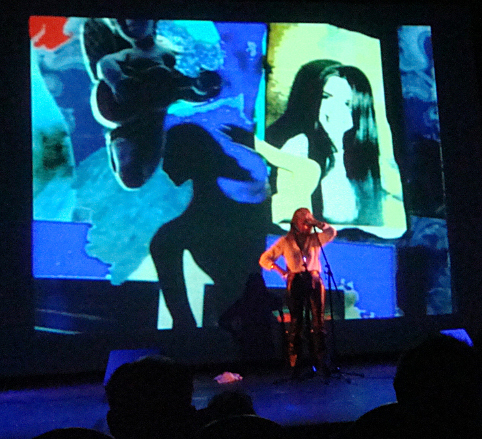 After the release of Maison Cube, I collaborated live with some musicians like Jandek, French singer Bertrand Belin, harpist Serafina Steer, Irish singer Declan De Barra, musicians from different horizons. I was introduced to Pierre's music by a friend and I really loved having an adventure in his universe, I kept that in my mind. This friend knew Pierre and proposed that we meet. What was said was done. Pierre came to see me and discovered all my traditional instruments, and he felt like home. He had brought some machines with him and I looked for my instruments that would fit with his musically. After that I went to his place for a rehearsal session and my instruments blended with his electronic machine and instruments. That's how our project MOTUS began to develop its own life and sound. We haven't recorded anything yet because it is still a work in the process of creation. A recording is something etched in time, and we both feel like exploring the sound further before engraving something and creating a physical object. It has been 4 years since Maison Cube; do you have plans to record a new album? The next album, Maison Vide is ready; it is again a story of a Maison. The idea would be to release the trilogy on vinyl, with a booklet (where you could write something Archie!). I know it may sound utopian when you look at the music marketplace today, but I really would love to release this trilogy. Before that, my first album Maison Rose will be reissued next spring by Souffle Continu Records, re-mastered beautifully from the original master tapes. Will it be similar in style to the other albums or a new sound? Maison Vide was created with the same instrumentation as Maison Rose and Maison Cube. I began to create this music while I was still in the house already mentioned in forest de Fontainebleau. My life and inspiration changed less in the last four years than it did in thirty-four. This album will be more instrumental and the atmosphere, from that point of view, will make people think of Maison Rose. However, I'm glad to say that I think we succeeded in creating music previously unheard on either of my previous two albums, it's like a new color. Do you have any idea when it will be released, or what label will release it yet? 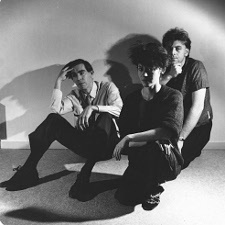 I really have a lot of affection for Disques Bien Troop, the label that released Maison Cube. To release and to sell an album today sounds utopian for everyone, artists, labels, shops. The album is not mastered and pressed yet; I guess we will see when it's done, which label wants to take a chance. March 15, 1971 Eurock began as a radio program on commercial FM radio. In March 15, 1973, Eurock morphed into a music fanzine. Today that seems like a long time ago in a land far away. Remarkably, Eurock still lives on reincarnated as a Webzine, as well a radio program every Friday night broadcast via Translove Airwaves on San Francisco Community Radio. To the right you see me in 1971 entranced by the music, back-dropped by the art prints from Faust's 2nd album SO FAR and art prints from a German Bellaphon Records 1971 calendar. Above you see the covers of the first 4 issues of Eurock magazine. Feature articles, Interviews & Pictures from these as well as all issues of Eurock Magazine have now been reprinted in the book European Rock & the Second Culture. 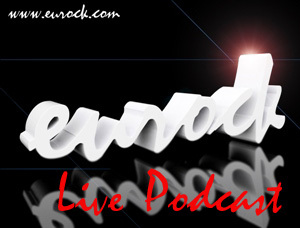 Click the Gallery link above and you can view as well all 40+ original covers of Eurock Magazine. 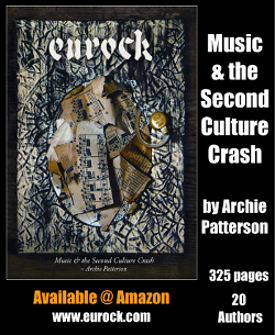 EUROCK - European Rock & the Second Culture is my current reading, a huge 700-page collection of every article and review that appeared in Archie Patterson's Eurock 'zine, starting with 1973. 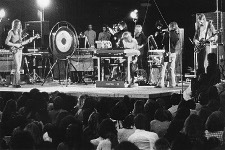 Eurock was an early essential guide to progressive rock, Krautrock, experimental music, and underground sound art; and it was important because it always placed the music in a cultural-political context: It was about revolt, about Opposition to the Mainstream, about change in consciousness. The music it covered was more than entertainment, more than a distraction. Eurock is important to me personally because in the early 1980s Rick Karcasheff and David Mattingly introduced Debbie Jaffe and me to so much great music that was charted and outlined in Eurock. That music inspired us to create our own music. 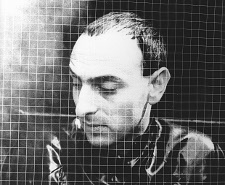 Yesterday I read great in-depth articles on Amon Duul I & II, Tangerine Dream, Can, Kraftwerk, Neu!, Faust, Guru Guru, Popol Vuh. For those of you who read e-books, there is a generous sample from the book - about 50 pages - available from Amazon Kindle. 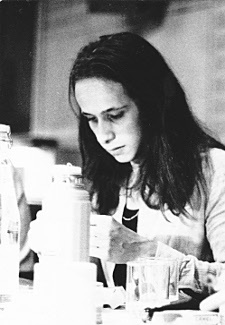 This morning I started reading an article on Ash Ra Tempel, and it has this great sentence: Klaus Schulze had a drum technique that might be described as Maureen Tucker with ambition. 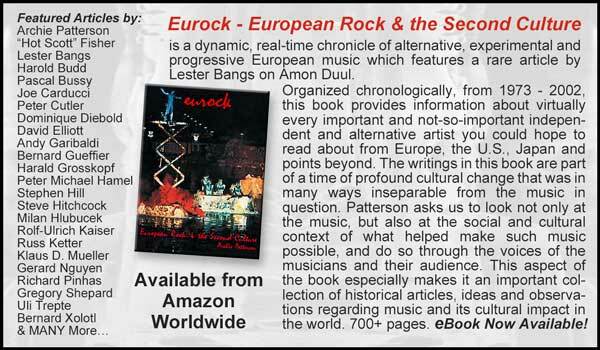 In this thick anthology of rock history, Patterson compiles every feature article and interview published by Eurock magazine. 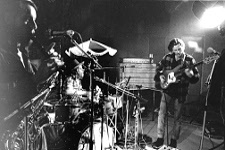 Described in the foreword as a documentation of a time in history when “the limits of imagination and what was possible sonically were stretched beyond the norm,” the anthology is organized by year, starting with 1973 and ending with 2002. 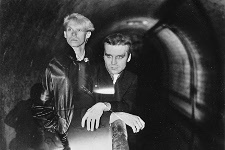 Fans of European rock and electronic music will value the variety of content, from interviews with Holger Czukay to collections of mini-essays by Robert-Jan Stips. Without commentary or sidebars, the reprinted musings, essays and articles about and by musicians speak for themselves. 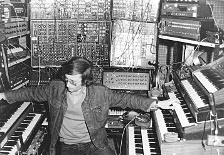 And there’s a lot of rich information to mine; the reader may discover Klaus Dinger of the German rock scene or Heinz Strobl, also known as Gandalf, and might learn a few things about the underlying philosophies and theories that contributed to new waves of sound and sonic technology. Here, composers discuss the way they probe into their inner “soulscapes” for a truer, more authentic expression of sound, and reviewers rave about the new albums and LPs of the ’80s and ’90s. 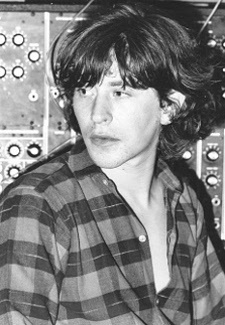 One artist, Mark Shreeve, describes music as an “undemocratic art” where many solo electronic musicians are more satisfied by developing their own ideas than by collaborating with one another. The interviews dig deep into the inspirations and motivations behind different movements, albums and periods of creation. If anything, the nostalgic experience of reading through these artifacts helps one appreciate the combination of moments, innovations and risks that created each new step of a growing musical force across a continent. For those readers interested in particular research, an index in the book’s final pages organizes all artists, bands and record labels mentioned. It makes for a fascinating aerial view of a music scene spanning three decades. In late 2015, Mikhail Chekalin composed & performed the music for these two albums on an exclusive prototype model of the MAHAVOX synthesizer (an original Russian patent). 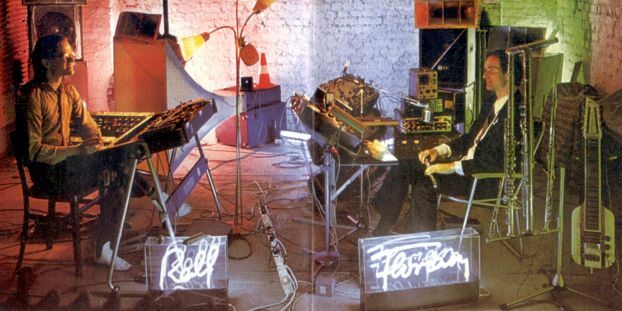 The prototype of the synthesizer was configured not to have a traditional keyboard comprised of black and white keys. Instead, the keys are replaced by slender strips of aluminum, which act as a triggering mechanism making a non-temporal connection when touched by warm human fingertips. 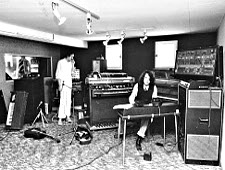 The second album was recorded on a finished model with a standard keyboard. The sound is quite different from the traditional musical scale. The new MAHAVOX synthesizer produces a unique and unconventional combination of scales within a highly diverse frequency range. The music on these two new albums harkens back to the golden age of electronic exploration when space age analog sound waves created new sonic vistas. 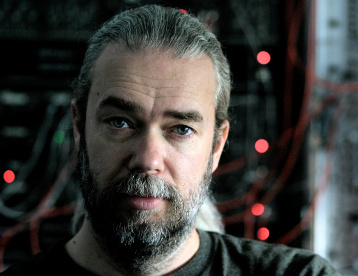 Chekalin’s extensive symphonic background is embeded into a dark ambient sound, creating a Doombient atmospheric amalgam. The musical result is Post Symphonic Ambient Music. Both albums embody the essence of an unlimited cosmic consciousness embodied in a composer who is steeped in the full range of earthly musical structures. Chekalin is able to create music of the Id, which also resonates deeply within you that can warm the heart and enchant the mind as well. Mahavox Symphony 1 & 2 musically offer over 2-hours of unique electronic music that is emotionally powerful listening as well. 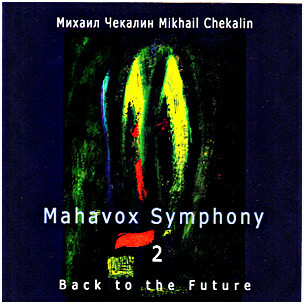 Following the release of Mikhail Chekalin’s last two albums Mahavox Symphony 1 & 2 in 2015, he has kept busy creatively producing more music to augment his already extensive catalog. 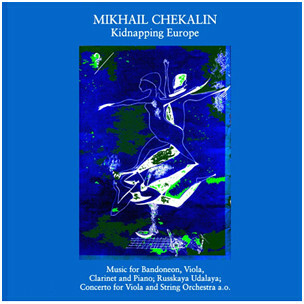 His first release in 2016 was the stunning Kidnapping Europe featuring orchestral music for small chamber ensemble as well as full orchestra. The album features various long interconnecting compositions his major works Music for Bandoneon, Viola, Clarinet and Piano, Concerto for Viola and String Orchestra and Three Minor Quartets, clearly establish him as one of the world's leading creators of Post Symphonic Modern Music. Are We Here, Are We Long Gone? To close 2016, Mikhail Chekalin just released his 49th album containing perhaps the most powerful and heartfelt music he has made to date. 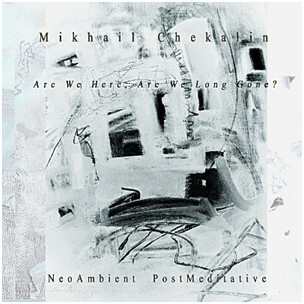 It features two major compositions NeoAmbient (PostSymphony #15) and PostMeditative (PostSymphony #16) followed by Epilogue. It also includes the album title track Are We Here, Are We Long Gone? along with two short tracks with impressionistic voice Postsong-1 & Postsong-2. As Chekalin describes it, the album sounds like an echo of the seventies when I made my start, which is why the musical timbres I use reflect that epoch creating the feeling and spirit of my early meditative compositions. The two short melodic PostSong harmonics are reminiscent of the English rock songs I listened to at that time. In a sense this album contains music offering listeners my feelings about that magnificent age of great expectations; we still of course had anxieties, but also had hopes that all the problems and discord we experienced could be alleviated by the more wonderful and artistic expressions of music. Having been aware of Mikhail Chekalin's work, both musically and artistically since the late 1970’s, I would have to say that his musical diversity, creativity and stylistic range are breathtaking. 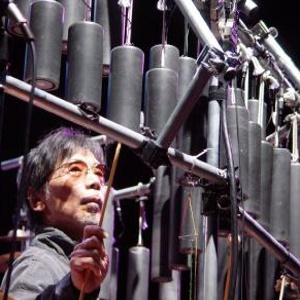 Perhaps no work, by a modern composer after this long of a time making music has carried such a powerful impact as his NeoAmbient PostMeditative album. Musically, it’s a beautiful homage to Chekalin's past as well as a deeply emotional listening experience by someone who very clearly is a master musician and artist who can still conjure up his muse after all these years. In addition, it's a powerful cultural document of Post Soviet Realist Art & Music by one of Russia's long time great artists. 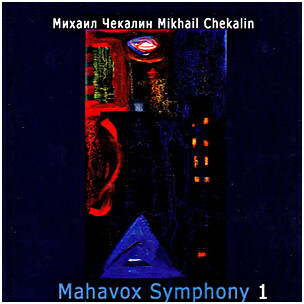 In 2005, MIR Records began releasing the music of Russian composer Mikhail Chekalin in the USA. This month the release of four new Chekalin albums brings his catalog to 43 CDs and 4 DVDs, which highlight the incredible range of one of Russia’s most adventurous modern musician/ composers in the post symphonic and electronic music idioms. In little under a decade, Chekalin and his music have gone from virtual obscurity to being available now worldwide via Amazon.com. Over the past several years, the full range of Chekalin’s talent has also gained some measure of acclaim in his homeland as well as outside of Russia. In 2008, he had a showing of his paintings at the prestigious Vincent Art Gallery in Moscow. In 2009, his modernist opera What is Po? premiered in Moscow. Most recently, on October 25, 2014, the Württemberg Chamber Orchestra featuring American wunderkind Scott Voyles conducting performed Chekalin’s Last Seasons symphony in Germany. The first of the four new albums, Requiem pays homage to his Russian artist friends who have recently passed away and his wife Natalya Vlassova, who died on May 27, 2104, Chekalin’s 55th birthday. 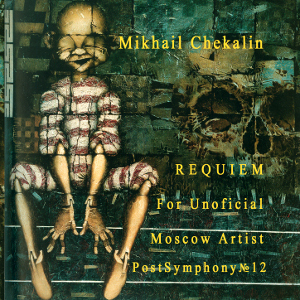 The title track Requiem for Unofficial Artist is dedicated to the late Moscow painter Alexander Kurkin whose painting serves as cover illustration for the CD. The composition is a powerful 26+ minute extended piece of impressionistic symphonic electronica the likes of which are seldom heard in today’s push-button sampled synthetic scene. The arrangements are a shape-shifting mix of ambient soundscapes, industrial, rock and symphonic passages. Alternatively, the music is warmly symphonic and overloaded with synthetic power surges propelled by high-energy rhythms. The track culminates with a collage of field recordings featuring the famous Soviet dissident writer and sociologist Alexander Zinoviev. He fled the country during the Soviet era, but returned in the early 1990s to become an outspoken critic of not only the Soviet regime, but also Western democratic imperial pursuits and modern politics as practiced by the current government in Russia as well. The other major work on the album Post Symphony #12 is a 3-part, 40+ minute piece dedicated to his wife, who was a renowned Russian actress. Descriptions of the music are impossible. Suffice to say it is one of the most sophisticated, adventurous and emotionally loaded electronic music works I have ever heard. The interplay between effects, melodies and thematic ideas developed are dizzying, at times breathtaking. The final musical segment Part 3 is dedicated to Chekalin’s former creative collaborator Moscow art designer Sergey Dorokhin. All the music on Requiem composed, performed, recorded and mixed by Chekalin himself simply must be heard to be believed. 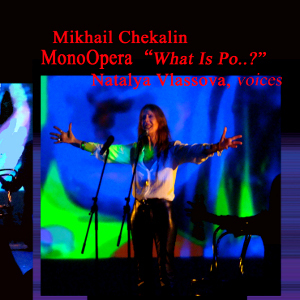 The centerpiece of Chekalin’s second new album entitled MonoOpera - What is Po? 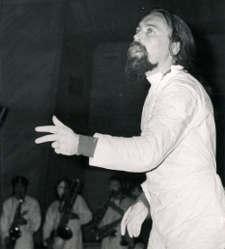 is a performance piece entitled Frother – The Dew of Death, a modernist reinterpretation of an avant-garde work by Alexander Ivanovich Vvedensky. 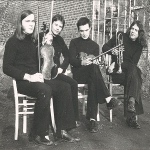 All of the albums recitations are based on the avant-garde poetry of three Russian-Soviet poets from the 1920s-30s Vvedensky, Daniil Kharms & Igor Bakhterev who were part of the short-lived underground avant-garde group OBERIU (an acronym for the union for real art) which existed for a short time during the Soviet era. Alexander Vvedensky was born in St. Petersburg, Russia in 1904 and grew up in the midst of war and revolution, reaching artistic maturity at the time Stalin consolidated control over Russia. 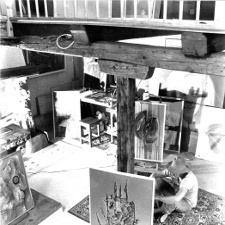 He became a major figure in the OBERIU and had formidable influence in Unofficial and avant-garde art circles during the time of the Soviet Union. In 1931, arrested for alleged counterrevolutionary literary activities, he was interrogated and sentenced to three years of internal exile. He was detained again in 1941 and on February 2 of that year died on a prison train. Much of his work has been lost, what remains has established him as one of the most influential Russian poets of the twentieth century. 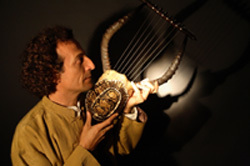 For the recording and performance of the MonoOpera Chekalin worked with his wife Natalya to create a multimedia experience that made full use of her dynamic talents. The prestigious premiere held in 2009 at the Moscow Theater Na Passionate was a powerful audio/visual experience. Her stunning visage and powerful delivery serving as a vivid focal point set against a tapestry of post symphonic electronic music and kaleidoscopic visuals. 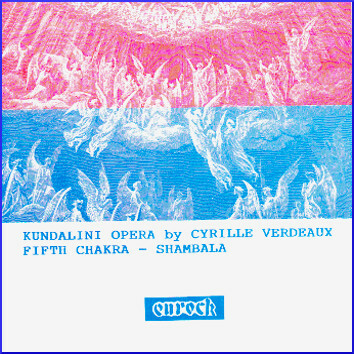 On this album, the combination of her dramatic interpretations and Chekalin’s striking musical accompaniments result in an epic modern operatic tone poem. There are many who attempt such experiments, but few are able to pull it off successfully. The marriage of Chekalin’s music with Natalya’s flesh and blood incantations embodies the creative essence of true avant-gardism. Natalya will be remembered fondly by many people in Russia for her other performances on stage as well as the many voiceovers she did for American actors in Russian versions of US major motion pictures like Dead Man Walking, The Thorn Birds and The Last Emperor. Children knew her as well for doing the voices of many cartoons, Disney characters in like Scrooge from Duck Tales, plus Casper (The Friendly Ghost) and others. Her memory however will live on now in an entirely unique way for the stunning performance she gives on the album The MonoOpera - What is Po? that reincarnates a masterful work of literature from the Russian past. The remaining two releases Symphony #13 & PostAmbient Symphony offer perhaps Chekalin’s ultimate distillation of the dynamic synthesis between symphonic music and contemporary electronic music done to date. Few artists have such an extensive catalog exploring the full stylistic spectrum of music as Chekalin. His solo piano works demonstrate a firm grasp of both jazz and classical technique. Electronically his techno experiments are not simply derivations of BPM automation, his cosmic explorations don't simply meander and whatever the style his music makes provocative use of melody and theme in highly diverse ways. Even more impressive perhaps, he composes, performs, records and mixes the albums himself. Post-Symphonic music is his forte, several of his compositions having been performed live by orchestras both inside Russia and outside, in Germany. 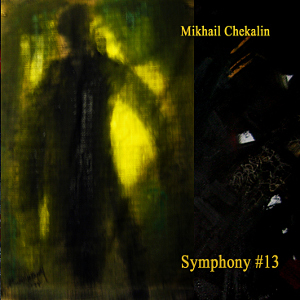 A prime example is his recent release Symphony #13, a dynamic composition and recording, which illustrates what sets his music apart from more orthodox symphonic music. While the sound does indeed contain rich melodic arrangements and strong thematic developments, at times it veers off-course transforming into a unique hybrid of free-form expressionist sound sculpture that mirrors creatively today's lifestyle that has become precariously out of balance, filled with chaos and disorientation. Chekalin's combination of orchestra, solo piano and synthesizer on this album intertwines in such a dramatic way that at times you feel overcome by the sound and swept away by the musical flow. This makes for an album that is both entrancing as well as an ennervating listening experience. PostAmbient Symphony is hardly ambient music, but does indeed cast a different musical spell than most of his other works. It features electronics prominently along with orchestrations; together they create of a musical palate overflowing with richly textured musical themes. The album features five compositions that segue seamlessly one into the other, beautifully bridged by subtle surreal synthetic sequences, which change both the tone and tenor of the musical flow. One dramatic difference on this album is that Chekalin creates and employs a variety of warmer synthetic tone colors and melodies than he has before. The result is indeed a very different musical ambiance that at times lives and breathes YIN vibrations, as opposed to the YANG energy his music often exudes. The albums final piece is a low-key double-tracked vocal recitation of a poem by Alexander Vvedensky featuring his late wife Natalya Vlassova. 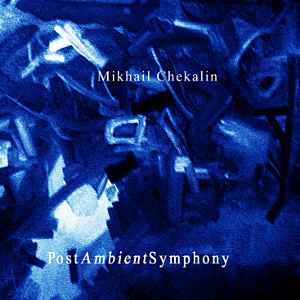 Underscored by a serene electronic soundscape and simulated choir effects it makes for a reverential conclusion to an album offering perhaps some of Chekalin’s most engaging music. It is hard to remember a time before the Net permeated and controlled most every aspect of our lives. Back then there was a country called the Union of Socialist Soviet Republics; remember the Beatles once sang a song about that place. 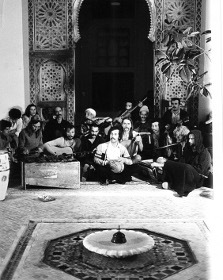 It was then, and there, that Mikhail Chekalin began staging light and music performances as part of second culture artistic gallery installations. Once upon a time, he had his own Light & Sound Studio working with other young Russian filmmakers and painters doing unofficial films and soundtracks. 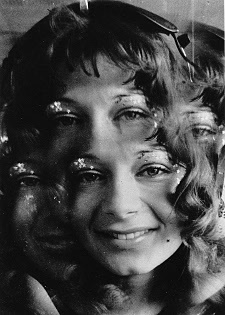 He was one of the USSR’s most adventurous and prolific artists. The KGB was not a fan, yet he still managed to breach the boundaries of the establishment when the official State owned label Melodiya released a series LPs of his music, later on CD as well. That is the very short version of his history. Today you can find more about him on the Eurock web site and other sites around the Net. 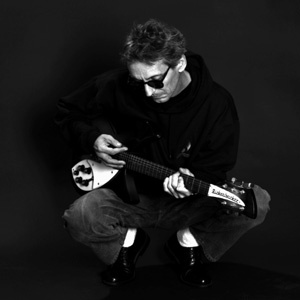 You can also find 39 official albums by Mikhail Chekalin released by the US label MIR Records, currently available on Amazon.com. They are reissues that represent the best of his past music as well as more recent works. Saturn certainly is one of the most amazing albums in the Chekalin discography. 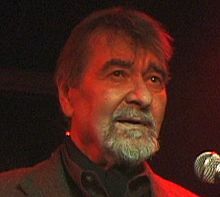 Recorded in 2000, he dedicated it to his late father Gennady Fedorovich Chekalin who died in 2001. His father was one of the main aeronautical engineers in the Soviet Union that was instrumental in development of the very first Saturn rocket. It was part of the original Soviet space program in the early 1960’s used to launch the first powerful telescopic satellite into space, which took the first photos of sunspots. 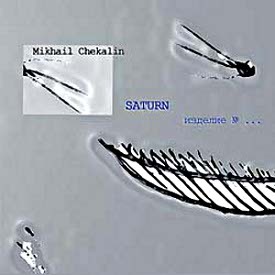 The album Saturn, recorded in 1999-2000, contains some of Chekalins most powerful music. The first remarkable thing about it is that the music is a multi-track recording, performed live in real time in the studio. 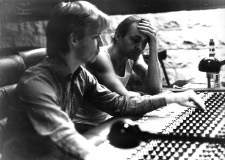 The album employs no sampling, no sequencers and no computer editing. It simply contains (75:51) of amazing music, creatively and technically. A Suite in 18 Parts, Saturn incorporates myriad stylistic influences into a unique Post Symphonic work. I offer up three names in comparison you might recognize - Yes, Magma & Shostakovich. I will stipulate that the music may not sound like any of their specific works, but it does embody traces of their spiritual essence at times. 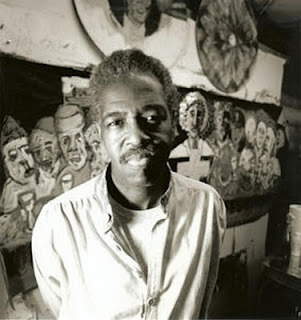 Chekalin's work however is a product of a different time and place that was politically and socially alien to the West. His art, music and perspective evolved out of a diametrically opposed cultural environment. His motivation was never to be a pop music star, but instead to become a serious composer who lived to create art for art’s sake. Musically Saturn is a multi-layered celestial symphonic work, filled with rich melodies created using a multitude of different instruments. The sound is characterized by synthetic power surges and dense complex thematic instrumental arrangements. That combination results in an evocative, emotional listening experience. A remarkable album, it defies description as does much of Chekalin's music. Recommended for those with a musically adventurous spirit. 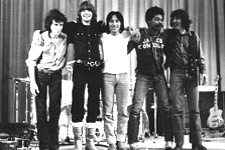 In 1981, the Eurock musical perspective expanded exponentially with its introduction to the music scene down in Mexico. I initially discovered a trio of albums - Carlos Alvarado’s Via Lactea (Milky Way) that pioneered an entirely new hybrid of space music & Decibel, who created on their first album, El Poeta Del Rudio (The Poetry of Noise), free jazz rock that charted new tonalities. One album however stood out as something unique, the likes of which I had never heard before, En El Ombligo De La Luna (In the Navel of the Moon) by Luis Perez. In the beginning, music of the global sphere was wind, water and other elements of nature. During the Pre-Columbia era, these were alchemized with ancient instruments made from shells, bone, wood, clay and skins to create ceremonial rituals by the indigenous people south of the border. 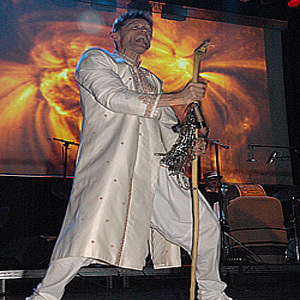 Luis incorporated that fusion of sounds, transcending time and space into his album, adding modern musical instruments and electronic embellishments. Sometime later, I saw Luis in concert at UCLA. Surrounded by a vast array of self-made replicas of Pre-Columbian and electric instruments, he performed the album live on stage. He bridged the time and space continuum successfully during his performance that day. Luis’ brand new 2014 release, Suspended Spheres, is a 2-part concept work. Suspended Spheres Part 1 is an incredible 26+ minute long organic composition comprised of various movements revolving around a shifting sonic palate of instruments and themes derived from ancient spirits and modern musical impulses. The multi-layered arrangements incorporate a host of elements. From primal rhythms comprised of thundering percussion, laced with exotic instrumental embellishments, thematic developments evolve out of melodic moog tones, augmented by ritual chants and an incredible array of flutes and wind instruments. The piece culminates in a collage of natural sounds and human voices, concluding with Luis’ final recitation over a ceremonial musical backdrop. The 13-minute+ track, Suspended Spheres Part 2, is a musical meditation filled with infectious rhythms and rich melodies. Dramatic themes are laced with solo flute, guttural incantations, harmonic chants and effectual sonic seasonings created by myriad pre-Columbian instruments. 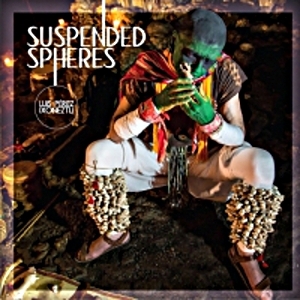 Suspended Spheres is certainly Luis’ finest work to date. 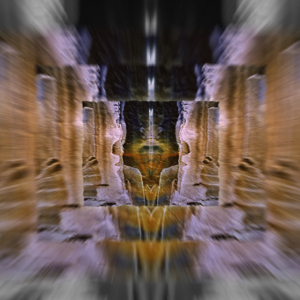 A living historical audio document contained within a multi-dimensional listening experience, it is also a powerful echo of ancient culture created by a modern artist who is a master of his craft. In 2014, Luis Perez released two outstanding new download albums. I reviewed the first, Suspended Spheres earlier. It’s a masterpiece of Pre-Columbian ritual music performed with authentic instruments enhanced by electronic seasonings. 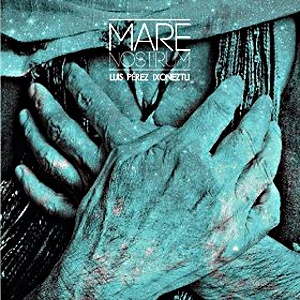 The other, Mare Nostrum (Our Sea) is a double album that demonstrates the incredible range of musical talents Luis possesses. In fact, it contains two distinct albums that are very different musically. He recorded the music of the first album while living by the ocean down on the Southern California coast. Album 1 is primarily acoustic with guitar, hand drums and other percussion instruments. Musically it’s a beautiful work filled with rich melodies and intricate arrangements. Luis also incorporates many exotic percussive and wind instruments into the mix, which enhance the music perfectly. Being familiar with Luis’ work since 1980, this album came as a pleasant surprise. All tracks (except two) are instrumental, the music falling into the category of folk with a distinct south of the border feel. His ability to do any style of music immaculately is incredible and his command of such a vast array of modern as well as ancient instruments is impressive. There are 17 tracks in total, many of them recorded for various stage performances and documentary films produced in the USA and abroad, some are highly personal about special times in his life. The last two on the album contain vocals “Amor Eterno” is a beautiful love song. The other, album closer “Por La Libertad”, is an incredibly powerful and strikingly arranged track. Luis says about it: “I wanted to add a speech on the subject of freedom, human virtues and the constant effort; political and social systems are making in order to manipulate, lie, punish, condition and ultimately kill those who dream and fight for a better world.” It’s ethnic rap of a sort with Luis reciting a rousing call for action with a choir chanting the chorus, “Libertad”! Album 2 is radically different from the first and completely floored me. 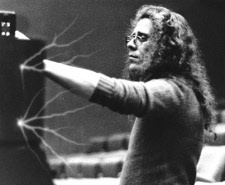 It features Luis’ original classical symphonic music compositions. His hope was that someday he could record them with an orchestra. So far, it hasn’t happened so he decided to release them now. 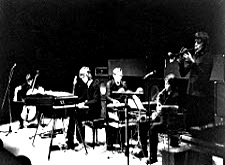 Many of the pieces were recorded using samples of symphonic instruments; others use electronics, Luis then incorporates ancient instruments into the mix. The result is WOW! Several tracks were recorded when he worked for the independent company “Alpenglow Films”, which produced soundtracks for TV documentaries. The company won awards for six films in 2 years before a corporation bought the network the company worked for and fired everyone. Imagine time tripping back to Pre-Columbian times where you witness a symphony orchestra performing as part of an ancient ceremonial ritual – it might well sound like this. There are 14 tracks on the album and Luis has programmed the running order to create a conceptual continuum. The overall musical flow is symphonic in style, enhanced by myriad special sounds and acoustic instruments with colorful folkloric themes injected at times. The album begins and ends with two superb tracks. “Comac Taheoic, “La Gente de la Isla Tiburon” (7:37) is the opener, a stunning fusion of symphonic music and Pre-Columbian influences that was used in an “Alpenglow Films” documentary. Beginning with birds, wind chimes and exotic instruments, it transforms into folk melodies played on flute and hand percussion, augmented perfectly by counterpoint between orchestral strings, wind instrument arrangements and tympani. The album closer, “Cetaceos” (6:07) was used by a New York company “Gravity Films” in a documentary entitled “Xbalanque”. It begins with a powerful string section introduction. Luis then begins playing; multi-tracking dual acoustic guitar melodies over hand percussion and shakers, all the while a Pre-Columbian flute solo flutters different melodies overhead the superb musical mix. The music is folk, strings again add subtle enhancement to Luis melodic composition and playing. The track serves as a perfect conclusion to an album that overflows with authentic melodies and sympathetic symphonic and electronic touches, which literally breathe life into the ancient spirits inhabiting Luis’ ritual music creation. When listening to both 2014 releases by Luis, you immediately recognize that the music he creates is a uniquely original fusion of styles from completely different cultures and centuries. He seamlessly integrates orchestra samples and synthesizer with ancient acoustic instruments from an era when music was an integral part of life and performance ritual, not written down. I’m amazed that at this late date in my listening experience that I could still hear something that reaches down so deeply into both head and heart, and resonates so strongly. Taken as a whole, both Mare Nostrum and Suspended Spheres stand out as rare musical creations by an artist whose talent seems to have no boundaries offering proof that great music truly is timeless. I was a young Anglo-rock radical back in the halcyon days of the late 1960’s and took a road trip up to San Francisco to see The Move in concert at the Fillmore West. The bill also featured Joe Cocker & the Grease Band + Little Richard. That weekend the free spirit of rock and roll rattled the walls of the Fillmore with creative innovation and electric energy. Now through what seems like some sort of divine intervention, in early February, a brand new Move DBL CD, Live At The Fillmore West 1969. Recorded direct from the monitor desk, Carl Wayne kept the original tapes in his personal archives in hopes they would someday see a release. Now, more than 40 years later, cleaned up using the latest technology, you can relive raw and alive, The Move in concert circa 1969. I was very familiar with The Move’s music at that time as I had import releases of all of their records. What I didn’t expect, was that in addition to their great singles, the band could rattle the walls live on stage. They were an incredibly loose band, with high-voltage guitar arrangements, and very LOUD! The 100 minutes of previously unreleased music you will hear on these two CDs demonstrates just how powerful a band The Move was Live. For their US tour, they had consciously designed their set to be different from what they normally played in the UK. They diversified, playing heavier, more extended versions with complicated arrangements of Shazam tracks. In essence, they wanted to let their hair down and go all out. 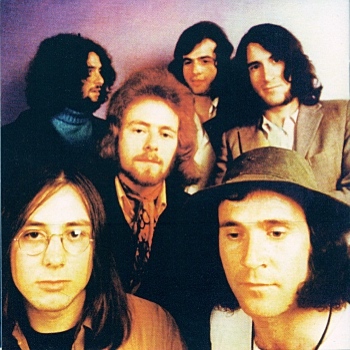 Their set at the Fillmore included songs by Todd Rundgren, “Open My Eyes” & “Under the Ice”, along with Gerry Goffin & Carole King’s “Goin' Back”, Barry Mann & Cynthia Weil’s “Don’t Make My Baby Blue”, Tom Paxton’s “Last Thing on My Mind” and “Field’s of People”, originally done by the US band Ars Nova. The Move versions are heavily rhythmic and filled with harmonies. They reinterpreted vintage songs and to make them their own. 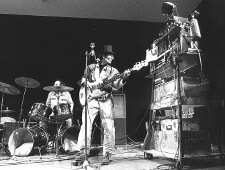 The Woody originals reincarnated into full-blown rave-ups here are – “Cherry Blossom Clinic Revisited”, “Hello Susie” & “I Can See the Grass Grow”, all of which are expanded on and turned into high voltage audio mind candy. 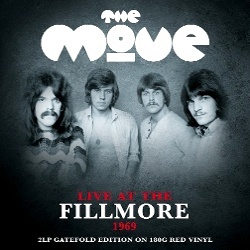 The Move Live At The Fillmore West 1969 magnum opus is “Field’s of People”. The Fillmore LIVE version featuring Roy’s instrumental arrangement and playing on that track clearly illustrates his genius. 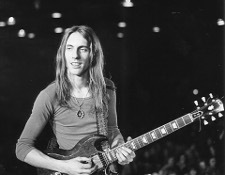 The incredible solo on the “Banjar’ when witnessed live, stage dark, spotlight shining on Roy’s hands picking his instrument, golden light reflecting around the ballroom walls was jaw dropping. As a special bonus, included is a Bev Bevan’s audio track featuring his colorful recollections of The Move’s 3-week tour and road trip on Route 66 across the US in ’69. His stories and details are funny and fascinating. 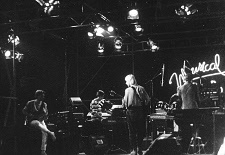 Topping the set off is a 10-page booklet filled with vintage Move photos from the tour, recollections about the band and love of the music, all of which kept this project alive over decades until it could finally see the light of day in 2011. Upstairs I know Carl is smiling now, and most certainly listening to this music via Translove Airwaves. 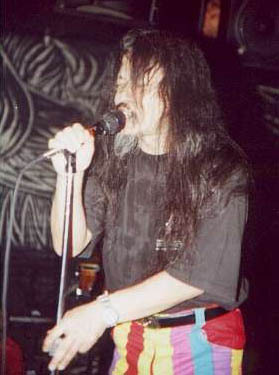 Mexico has had one of the most creative experimental & progressive rock scenes in Latin America since the early 1980's. Some of the best music Eurock has featured over the years has come from of Mexico. Bands & artists like Carlos Alvarado & Via Lactea, Decibel, Luis Perez, the late Jorge Reyes, Nazca, Eblen Macari, La Tribu & Arturo Meza stand out as truly unique in the annals of the International music scene. 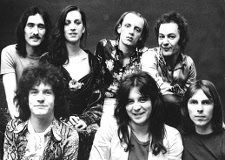 There are other bands as well however that have created music outside the structure of progressive rock over that same period that have remained relatively obscure. 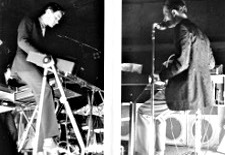 This article offers artifacts & information by three of them, Oxomaxoma, Hilozoizmo & Voldarepet, who have long explored the fusion of avant-garde, electronics, ethnic music & free jazz. 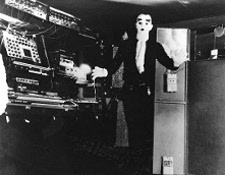 I think you'll find this 2013 update on Musica Experimental de Mexico fascinating. Enjoy! Michel Huygen & I have been in contact for over 30 years. I've been reviewing and playing his music all along and the Eurock files are filled with information, photos and art work he has sent me. Just recently he and I crossed paths, literally and unexpectedly, in the same place at the same time. It was an incredible case of happenstance leading to serendipity. I had just gotten his new album, ExoSomnia, and prepared a new radio program featuring music from it, the incredible extended track entitled "And Man Created Gods". 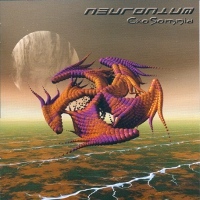 It + the entire Neuronium catalog in now distributed in the USA via CD Baby. We had a great time hanging out at AMBIcon & recorded an interview filled with incredible stories about his history and long music career. Take a Listen! It makes for fascinating listening and is accompanied by many artifacts from the Eurock Archives. In Germany, and around the world, a new international consciousness came into being during that era, the times they were a changing, and forever altered in more ways than anyone could have ever imagined. 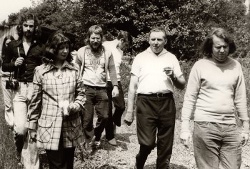 The story of The Cosmic Couriers’, Rolf & Gille, was in many ways a paradigm example of that. Little known now and ultimately written out of the cultural lexicon, sometimes dreams die hard, old memories simply fade away. Rolf & Gille are still alive, now living out of touch with the world today by choice. Their dreams live on only as words in the ether. Rock in the beginning was a new form of music in opposition to mainstream culture. The metamorphosis from (black) race music into white rock ‘n’ roll shook the very foundations of society. It was an ungodly amalgamation of the blues from the plantation fields, jazz and poetry in bohemian enclaves, injected with country folk. Ultimately, it was all bastardized by white boys in US garages making noise. The mode of music became revolutionized, and ultimately co-opted as corporate record labels began signing anyone up who could play an instrument, or not, and hyping it to make millions. The commercial record business literally exploded and FM radio hit the airwaves. Today’s music scene is a different animal. There are still bands around the world making creative music without purely commercial intent. The internet both facilitates their existence, and to a great degree consigns them to needle-in-a-haystack oblivion. In the real world, indie labels, music stores, a viable distribution network and counter culture ethos are withering, even major label record companies are dying on the vine. Technology dominates. Marshall McLuhan predicted the creation of mass media in his 1964 book, “The Medium is the Message”, offering fair advanced warning. In 1966, he talked of the creation of the Internet and its lifestyle changes, the concept of a global village, later twitter & more, envisioning its substance and impact: "All media work us over completely. They are so pervasive in their personal, political, economic, aesthetic, psychological, moral, ethical, and social consequences that they leave no part of us untouched, unaffected, unaltered. The Medium is the Massage. Any understanding of social and cultural change is impossible without a knowledge of the way media work as environments. All media are extensions of some human faculty--psychic or physical." 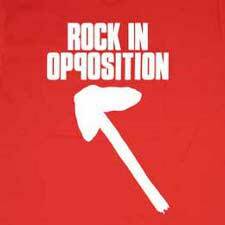 They were one of the 8 original bands in the “Rock in Opposition” music collective. The RIO philosophy was that rock was a form of art and culture, opposed to business as usual on all levels. Their ethos, “making music record companies didn’t want to hear". 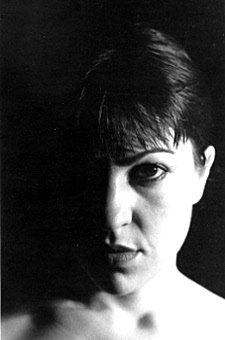 Later, the band began to evolve musically even more with the addition of Patricia Dallio on keyboards. The music became more structured and composed. 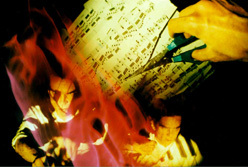 They wrote scores for dance performances as well as multi-media installations. The bands focus has turned to making music that engages the intellect. Today Art Zoyd continues as a collective of diverse artists and musicians who continue doing numerous visual and stage presentations, as well as recording projects. 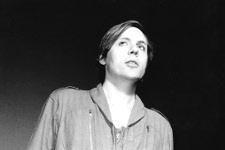 Dirk Jan Müller formed Electric Orange in 1992 and released the bands first self-titled album in 1993 on the independent German label, Manikin Records. 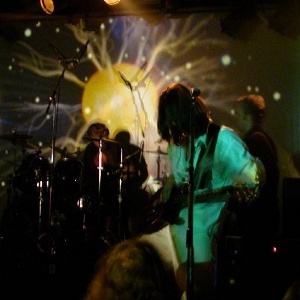 The sound of the band often pays homage to early period Pink Floyd, injected with a mega dose of their unique modern cosmic krautrock vibe. Müller’s dense layers of keyboard and mellotron along with Dirk Bitner’s soaring space guitar excursions characterize their sound that is propelled by a dynamic rhythm section that mixes heavy beats with exotic percussives. To date the band has released 7 albums + a DVD. Electric Orange makes some of the best space rock to come out of Germany since the original golden era. The five tracks featured on this podcast demonstrate that well. 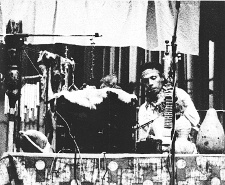 Stomu Yamash'ta performed his first concert, Percussion Concerto, with the Kyoto Philharmonic Orchestra in 1963 at the age of 16. By age 17, he had transplanted to NYC and entered Julliard. 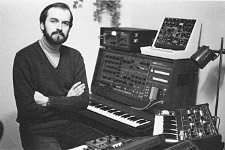 During the 1970s, he became internationally renowned, releasing a series of albums adapting his adventurous style to creating a new fusion of experimental jazz, symphonic, electronic and rock music. He released 3 albums entitled Go, featuring a cast of international superstar musicians. In the 1980s, he reached a spiritual impasse, returning to live in Kyoto where he took up Buddhist studies. Yamash’ta returned to music when in the 1990s he discovered the musical powers of Sanukit stones which generate sound over an 8000 hertz spectrum, creating an 88-tone range. 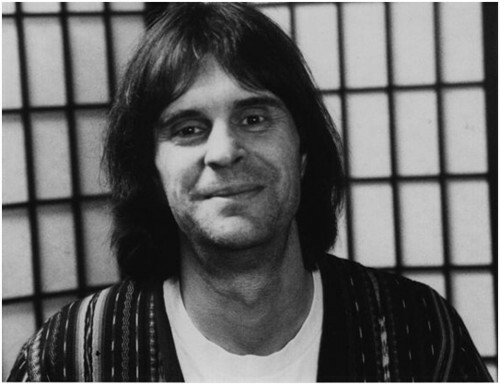 Using these stones, he created an entire line of instruments and began exploring a new sound concept “sacred music of the stones”. 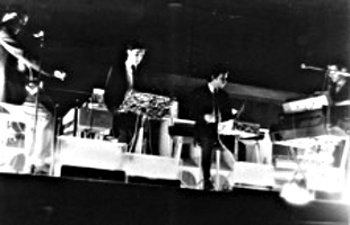 During the late 1970s and early 1980s, the Japan experimental scene was in its embryonic phase. Fools Mate Magazine was the main vehicle for promotion and a handful of groups were beginning to mutate the sounds of pop, rock and electronics into a new modern fusion of styles and influences. 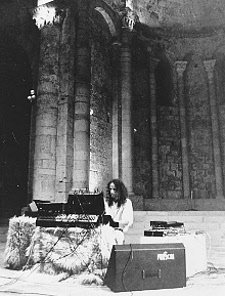 Hiro Kawahara was one of the early pioneers of a new form of Zen electronics, His early bands Astral Temple, Dr. Jekyll & Mr. Hyde, followed by Osiris combined mystical and spiritual influences with experimental electronic rock. With the formation of his longest running band Heretic, his music transcended time and space. 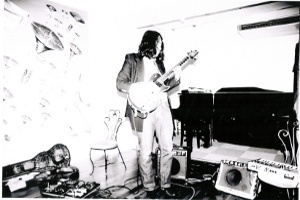 His guitar playing fused with electronics became truly transcendent. In this Interview he talks about the history of his music and release of the new album Requiem (see the Reviews page). In the recent past while Skyping w/ Hiro Kawahara I learned that the air, water, rice and meat are approaching unsafe radiation levels in Tokyo. While mainstream media moves from one sensational headline to the next, it is important to always know and understand the real human story and consequences of what happens. In many ways music can tell that story, in the case or Requiem listening may will give you chills and fill your heart with the deepest of emotions for all the people in Japan who are now going through the aftermath of this disaster. 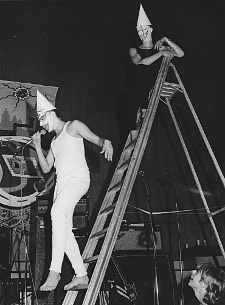 One of the most provocative bands and musicians I have come across in my years spent chronicling the world scene of experimental and underground music is AskaTemple, led by Muneharu Yuuba whose stage name was John Ubel. 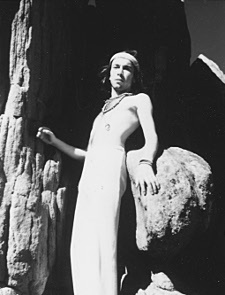 The band name, derived from the small village he lived, also makes reference to the spiritual & shamanist mysticism of his music that also contains strong influences from the psychedelic era. He passed away on October 20 2012 and though he was a virtual unknown, it's a loss to the world of music today in more ways than we can know. In this age of media saturation, it is rare that such intensity of emotion as evidenced in the music of AskaTemple is conveyed. Be it his guitar playing, synthesized guitar compositions or the band recordings, his music was devotedly non-commercial and filled with a depth of passion that only an artist who lives and works outside the realm of daily life as we know it today can create. 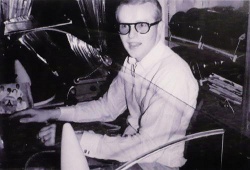 The article by Nicolai Murahama, keyboardist for AskaTemple, reflects on his strange story and includes an insightful look at his musical history and life history. Eurock Magazine had published articles and run an early mini-interview with CON. In the summer of 2008, I sent him some questions for a new interview and he kindly obliged. He even went a step further bringing his own special form of creativity to the mix. He chose also to create a recorded addendum that told his story, and conveyed the essence of what he really wanted to say. He sent me the answers to the questions and a recording, which consisted of three different treated versions of his monologue to use how I liked. 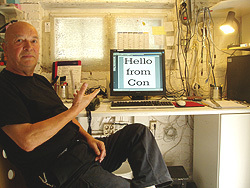 CON passed away August 4, 2011. Listening now to this series of audio recordings I think serves as a wonderful reminder of the man, His creative energy knew no boundaries, and certainly in so many ways played an integral part in the beginnings of the German "Neumusik" revolution in Berlin back in the late 1960s. 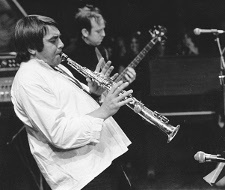 In 1986, I witnessed the spectacle of Urban Sax LIVE at Midnight during the World EXPO in Vancouver, BC. 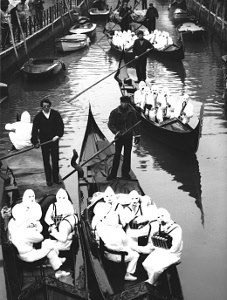 It began with barges floating across the river amidst a shroud of fog while colored flood lights panned the water. The group was accompanied by a Native American drum circle and climbers rappelling overhead amidst the domed metal webbing constructed over top the open pavilion, as well as up and down the building walls. 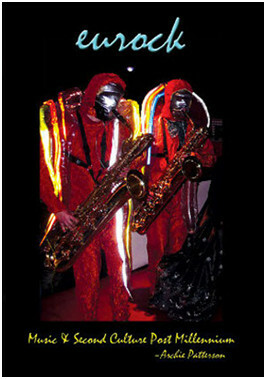 Urban Sax, attired in silver mesh and plastic tubing serenaded the packed outdoor arena for over an hour. Earlier in the day I interviewed Gilbert Artman, aided by his kind manager Gilles Yepremian serving as translator. We had a nice 25-minute conversation with Gilbert talking about his musical history and Urban Sax philosophy. The quality is quite good, so it makes for a very interesting listen with most of the information not dated at all. Again adjust your volume as needed & Enjoy! 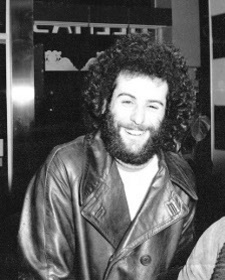 I was living in LA at the beginning of the 1980s when I met Malcolm Mooney former lead singer of Can. At that point Eurock Magazine was at its high point in terms of distribution entering the 7th year. Malcolm called and said he'd heard of my work in promoting Euro rock and suggested we meet up. He invited me to his home and there we had a free ranging chat about his time with Can, music, his teaching, music and art. It was recorded on a small Panasonic portable recorder. What was recorded of that conversation is not bad quality and has not been tweaked or edited for the most part. Adjust your volume as needed. Malcolm was a great cat and is still active today in art and music. You can check out his web site to catch his latest projects. In the late 1970's I was up in Portland running ITC and importing Euro music as well as well as co-programming a weekly radio program. In addition, Eurock Magazine was gaining traction in Europe and making many new contacts. One hilarious highlight of that era was the magazine being featured on the record store set of Robin Williams then popular TV program Mork & Mindy. Right next to the cash register in full display were visible several copies of the mag each time a counter scene was shot on the store set. 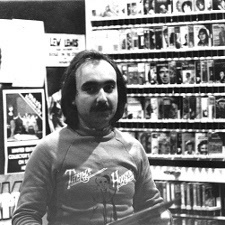 In 1977, Uli Trepte of Guru Guru, Spacebox and later Move Groove came to the US and stayed in LA with one of my original Euro musical guru's Dana Madore who ran a now legendary record store named Moby Disc at that time. A real high point for me early on doing Eurock was having a couple long conversations with him that led us to being life long friends. 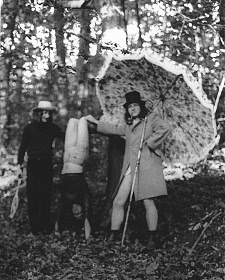 At one point we recorded and interview that was aired on KINK FM in 1977. In retrospect he recounts his personal history nicely I think. The unfamiliarity with the technology involved only add a touch of humanity to process. The recording quality is not bad. Adjust your volume accordingly. My old pal Dana supplies the humor at the outset when he answers the phone. Uli passed away May 21, 2009, and I'd like to think he's still playing music up in the ether. This recording lets you hear him "in the flesh", perhaps for the first time, and for me in some way keeps his spirit alive. 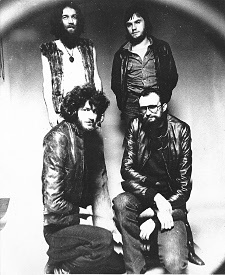 In the annals of "Prog-Rock" there were a couple English bands that didn't fall prey to the pomp & circumstance that led most others to the dinosaur bone yard, Gentle Giant was one of them. The Shulman brothers and their mates made intelligent rock laced with jazz, a quick breath of the classics at time and a bit of pop perhaps. It all combined into their own eccentric concoction that not surprisingly doesn't sound today like an old fossil from the past. I remember the 1970's all too well. Post college, the reign of Reagan in California as Governor, the 60's dead end dream with it's fractionalization followed by the ascendency of the "me" generation" that led us to today's "new world order". One of the best things of that time was a new rock-poet who spoke of that malaise, strummed his guitar and had the voice of a choir boy pleading to the Lord for salvation. 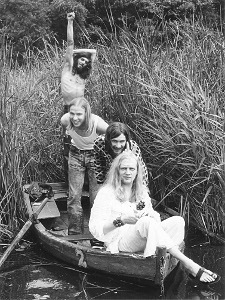 That was Elliott Murphy who recorded during that era 4 of the great rock-poet albums ever done - Aquashow, Lost Generation, Night Lights & Just A Story From America. A critics favorite, the masses were well past introspection and salvation even then, so sales dwindled. What's a poor rock 'n' roller to do, eh? 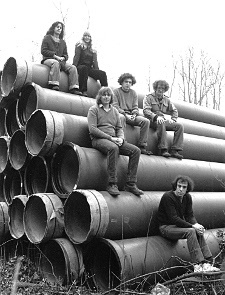 Before there was Krautrock, there was "Schlager". 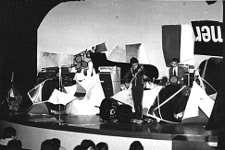 Then along came the "Beat Club", Germany's answer to "American Bandstand" and the foundation was laid for a change in the mode of the music which would shake the walls of Berlin and ultimately all of Germany. 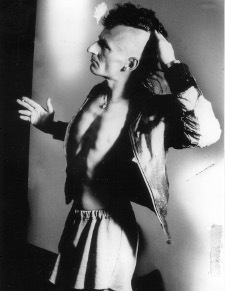 Gerhard Augustin was the original co-host and creator of the Beat Club" and a prime instigators of the new German scene. 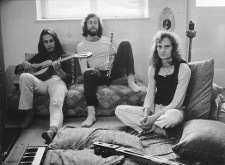 As A&R man at Liberty/ UA in Germany he signed Can, Amon Duul & Popol Vuh to the first major label contracts on the Krautrock scene. This in depth Interview with him makes for fascinating reading. 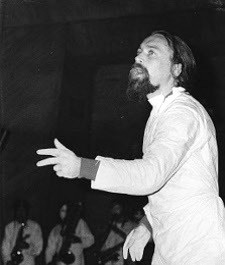 Giorgio Gomelsky is one of the true pioneers of experimental rock music. 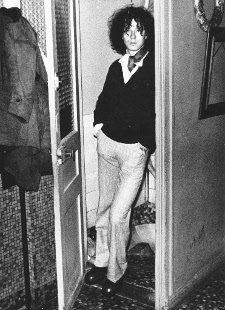 In these excerpts from Joly MacFie's Punkcast he talks about his original Crawdaddy Club which was the first venue the Rolling Stones played. 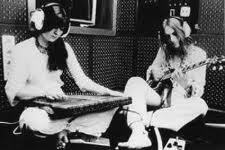 In addition to that he also produced the first recordings of the Yardbirds, Gong and Vangelis. He left the UK and went to France to produce Magma and they went on to create la scène souterrain musicale Français. 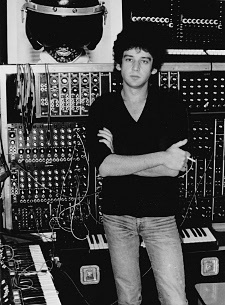 Today Giorgio lives in NYC and still keeps attuned to exciting new musical and technological innovations.